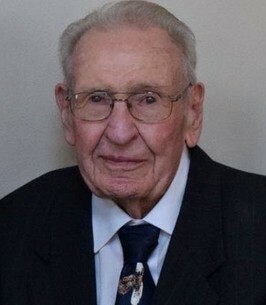 With great sadness the family of Kenneth Floyd Blackburn announces his passing on Friday, November 23, 2018, at the age of 92 years. Kenneth will be lovingly remembered by his wife of 14 years, Erma Ruth (nee Smith) Hayre Blackburn, sister Bonnetta "Bonnie" Reeves, and his children David, Janice Musson, Kenneth (Eileen), and Stephen (Diane). He will also be lovingly remembered by his stepchildren Lynda (Mike) Kittle, Patricia (Leonard "Bud") Walker, and Mark (Karel) Hayre. Kenneth will also be fondly remembered by his grandchildren Craig (Heather), Michael (Jen), Heather (Bill), Jeremy (Cheryl), Kaitlyn, Adrienne, Brady (Kaitlyn), Bethany, Bret (May), Beth (Cody), Joe Dan (Alyssa), Rachel, Krystal (Jared), Kevin (Ashley), and 10 great grandchildren, numerous nephews, nieces, extended family, and dear friends. Kenneth was preceded in death by Violet, his wife of 55 years, daughter Shirley, sister Mary "Betty" (& Harold) Carroll, brother Luther (& Florence) Blackburn, and brother-in-laws Vernon Wright and Clare Reeves. Kenneth graduated from Gravette Arkansas High School in 1944, and joined the US Navy during WWII. Later, he was recalled to service during the Korean War. Kenneth joined the Henry Crown Co. of Chicago in 1948, and worked a total of 41 years in the inland waterway transportation sector. He became a Vice President of their barge lines and terminal operations division, and the President of their shipyard division. Kenneth retired to his beautiful home overlooking Table Rock Lake near Branson West, Missouri in 1989. He and Erma, and Violet before her, always enjoyed sharing their home with so many who would come to visit. They always found great joy in serving Christ through serving others. Kenneth is a member of Ozark Mountain Assembly of God Church, The Gideons International, and The American Legion at Kimberling City, Missouri. A celebration of Kenneth's life will be held at 2:00 pm, Thursday, November 29 at Greenlawn Funeral Home, 708 State Hwy 248 in Branson. Visitation will be held there beginning at 1:00 pm. Internment will be at the Springfield Missouri Veterans Cemetery on Nov 30. To plant a tree in memory of Kenneth Floyd Blackburn, please visit our Heartfelt Sympathies Store. Our deepest sympathy for family and friends during this season of bereavement. May God grant everyone hope, comfort and strength in a time of need and peaceful rest for our dear Gideon Brother Kenneth Blackburn!